Peter Gaby has the spirit of a true collector. His eyes twinkle and shine with curiosity and enthusiasm as he flits around his workshop. 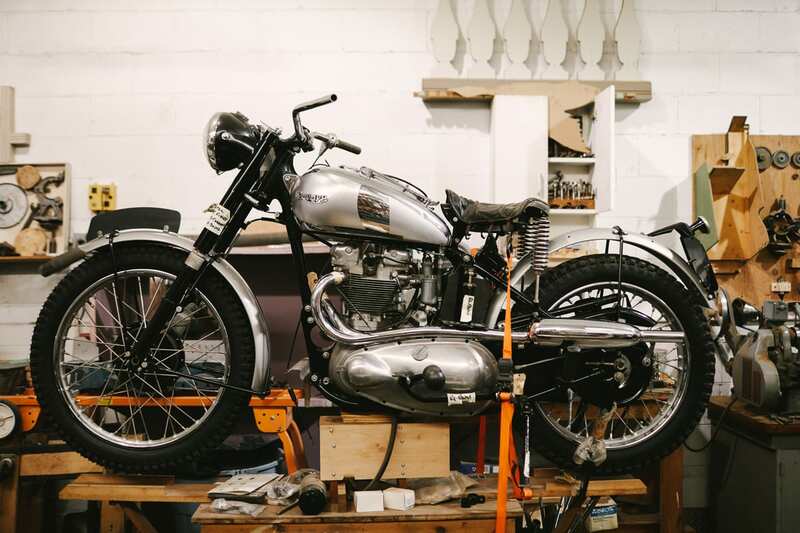 Three beautiful vintage motorbikes are mounted on workbenches, and one leans against a wall, each in various states of restoration. Where the uneducated eye sees only pieces of polished metal, Gaby sees potential: deep wells of history and the roaring of engines, the wind whizzing past his ears. His love of motorbikes began early in life. When he was a young man in the U.K., his father bought him a Mini to stop him driving a motorbike. 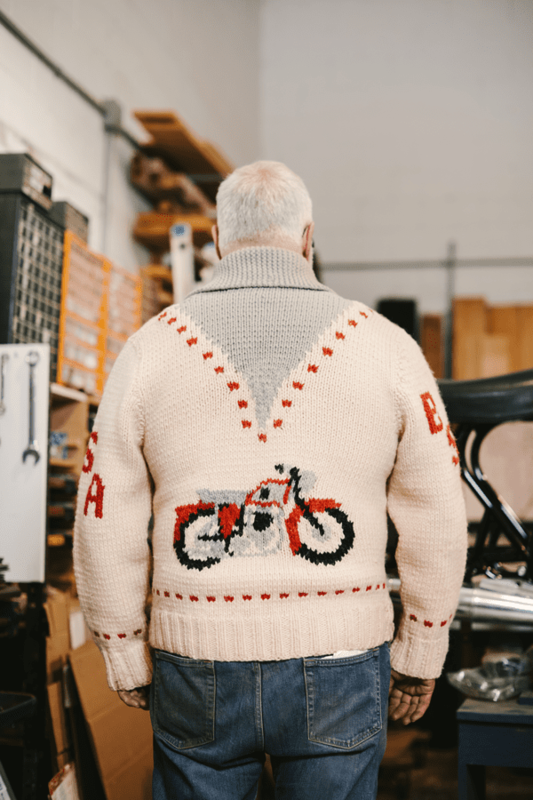 Now a grown man in Canada, he can indulge his passion, restoring the bikes, sending parts back to the U.K. for restoration, and collecting the paper trail. There are file folders packed with yellowing sheets of paper, original repair logbooks, and licence registrations. 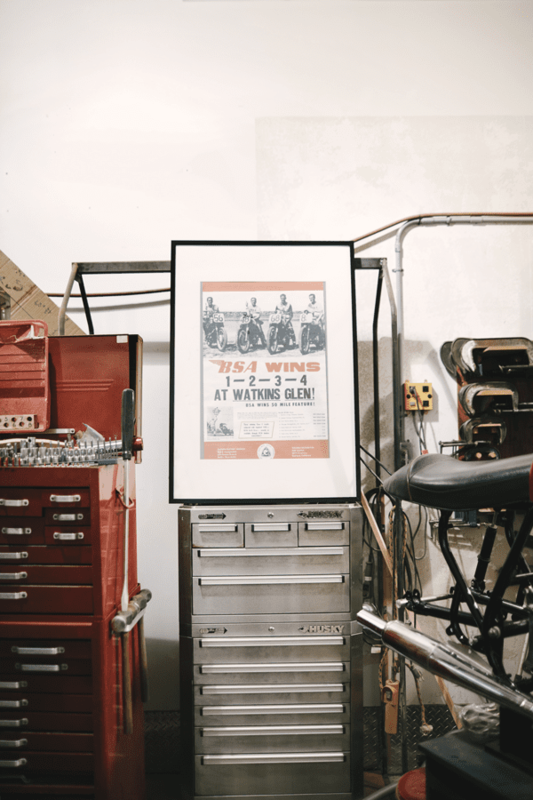 On one wall, behind a 1957 BSA competitive racing bike, hangs a vintage paper broadsheet poster that Gaby found in California. The picture, dated 8th September 1957, shows four men on BSA motorbikes at Watkins Glen racetrack in New York. The winner of the 50-mile race, number 48, was Denton Craig from Ottawa. “I love the paper trail,” he says.